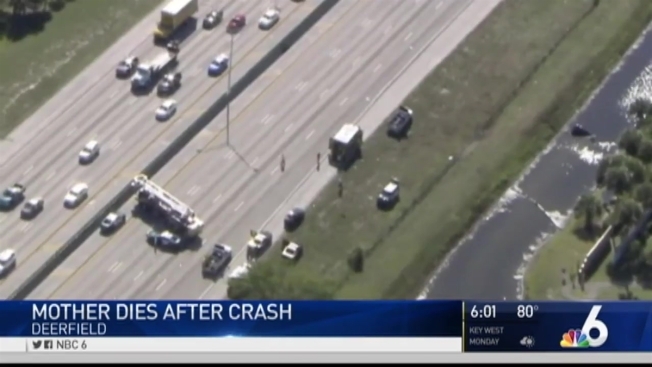 A mother died and her 3-year-old daughter remains hospitalized on Christmas Eve after their car crashed into a canal off Interstate 95 in Deerfield Beach, according to Florida Highway Patrol. The crash happened in the southbound lanes of I-95 just south of Southwest 10th Street on Friday morning. The vehicle crashed through a chain link fence and into the water around 11:03 a.m., and ended up on its roof with two adults and their 3-year-old inside, according to FHP. Cynthia Jayne Hutchinson, 42, was behind the wheel of the Hyundai Elantra, while 42-year-old Christopher Ian Herndon and 3-year-old Aubrey Skye Herndon were passengers, according to an FHP report. Good Samaritans who helped save a mother and her 3-year-old daughter after their car went into a canal in Deerfield Beach speak out. Christopher Herndon was able to get out of the car unharmed and numerous bystanders and a law enforcement officer were able to get Aubrey and Hutchinson out of the car. "The guy said there's a bay in the car and he was yelling 'get a hammer,'" witness Michael Webster said. "We jumped in, they were trying to smash the windows. We had to flip the car over because it was upside down." FHP officials said a Road Ranger arrived to the scene and used a chain to get the car on its side as an off-duty Lighthouse Point Police officer rendered aid to the victims. "The Good Samaritans were pulling the female and the child from the vehicle itself, but the obstacle was is the car was up onto its roof, they weren't able to get into the car because of the suction, because of the car being upside down and the suction against the doors so that's why they had to pull the car up onto its side and then open the doors," FHP spokesman John Baker said. Broward Sheriff Fire Rescue spokesman Mike Jachles said firefighters encountered a "frantic scene" when they arrived. "As many as 20 people were in the water trying to rescue the woman and the child," Jachles said. 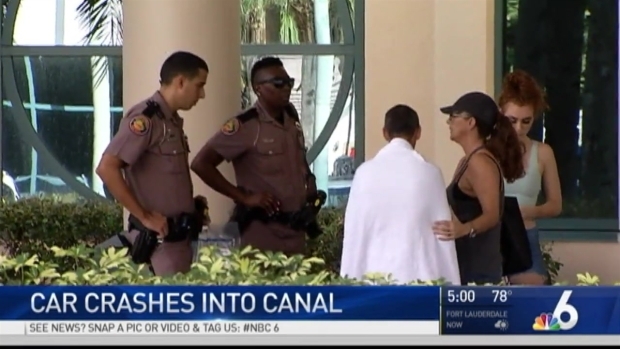 A three-year-old child and the girl's mother were hospitalized after their car crashed into a canal off Interstate 95 in Deerfield Beach Friday. "I could see the baby laying there with barely like [her] face and her nose was in the water. 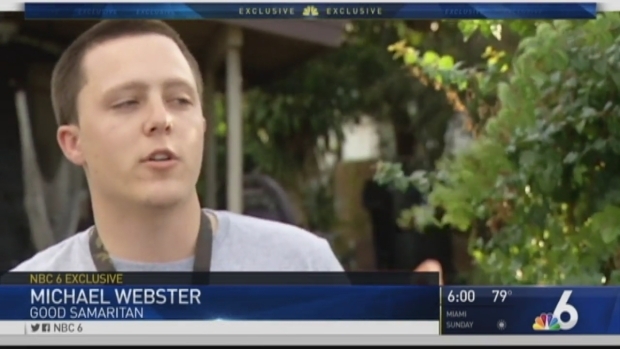 And the mother, I seen her leg just floating there," Webster said. "They weren't moving at all." The girl was transported to Broward Health Medical Center in Fort Lauderdale in critical condition. The mother was transported to Broward Health North in Pompano Beach where she passed away on Saturday morning. The crash had southbound lanes of I-95 closed at Southwest 10th Street for hours Friday. Check back with NBC 6 for updates.